Well, now he has another reason to make fun of me. Thanks to an app called Thumbjam, I’m making CD quality “iloops” on my iphone. With Thumbjam, you can use their extensive library of real instrument samples or record your own right to the app via external or on-board mic. Either way, once you select a sample, tap record and jam away. Layer multiple loops, play them back and add more layers. What’s making this app really fun is the unique interface that lets your move your finger across the screen to play up to 5 notes at once. 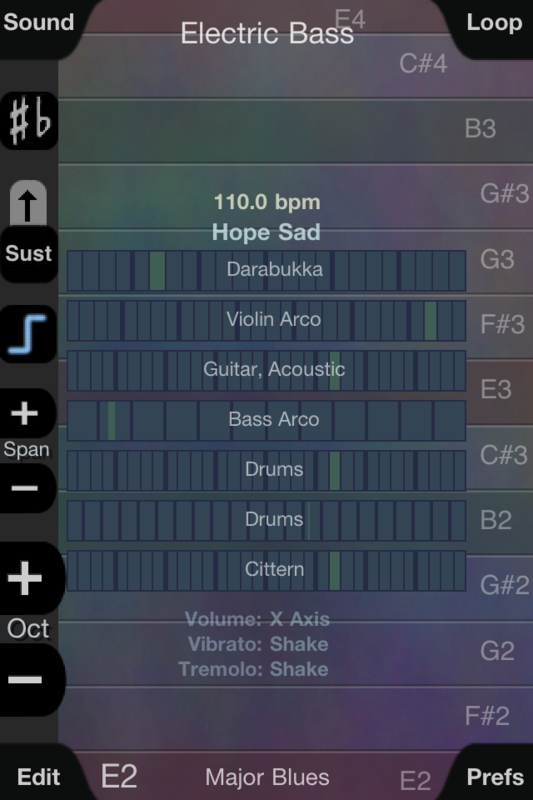 And, you can select from dozens of musical scales so that every note you tap on the screen sounds great. Everything recorded exports as 32 bit wavs. This entry was posted in audio, media. Tagged tools & tips.